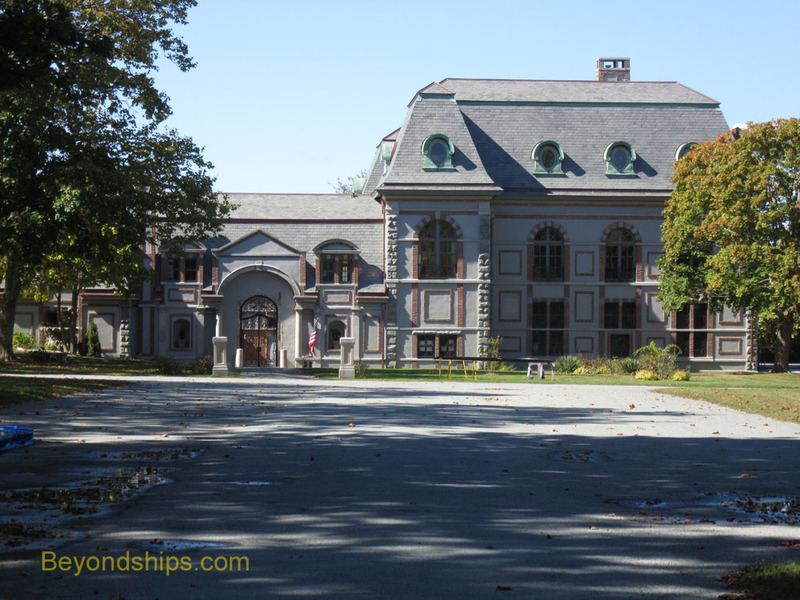 Chateau-Sur-Mer was one of the first Newport mansions to be built of stone. It was also much larger than the other cottages and would remain one of the most prominent structures in Bellevue Avenue area until the Vanderbilts built their palaces in the 1890s. The original house was built by Seth Bradford as an Italianate villa in 1852. It was, however, subsequently transformed by Richard Morris Hunt in the Second Empire style. He also expanded the building adding a four story tower, a three-story wing, and a one thousand square foot billiard room among other things. Chateau-Sur-Mer was the home of the Wetmore family. The original owner, William Wetmore, was one of the first Newport residents to indulge in lavish entertainment. One party he hosted had over 3,000 guests. His son, George Wetmore, inherited the house. His interest was in politics and he became a two-term governor of Rhode island and later a United States Senator. When the house was built, it had a view of the sea hence the name. This view has since become obscured. However, the grounds surrounding the house were landscaped by the Olmsted Brothers who were sons of Frederick Law Olmsted and contain a number of specimen trees. 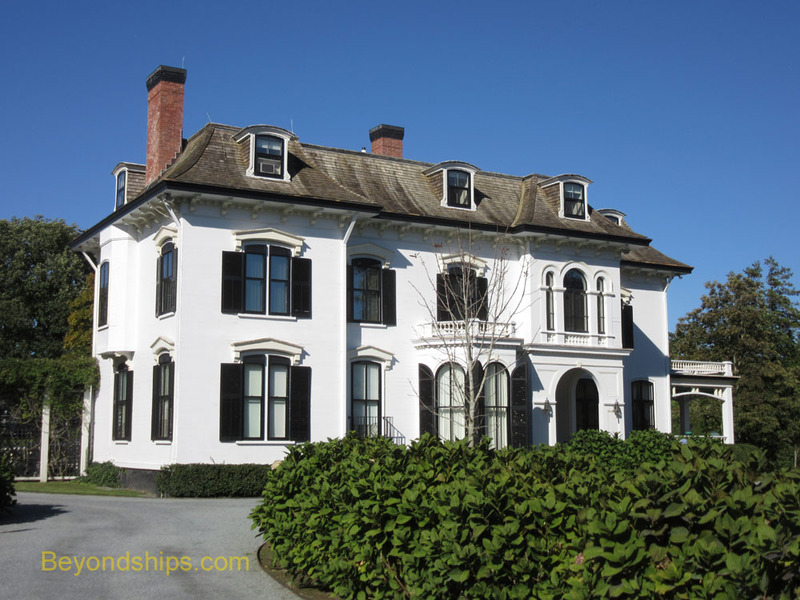 Chepstow (1861) was built for Edmund Schmerhorn, a member of a prominent New York area Dutch family and a cousin of the Astors. Although intended as a summer house, Schmerhorn liked it so much that he became a year-round Newport resident. In 1911, the house was purchased by Mrs. Emily Morris Gallatin. She was descended from the Morris family who were prominent in New Jersey during the colonial era and during the American Revolution. As a result, the house contains an important collection of American paintings and documents relating to the Morris family. A mansion that is open to the public but which is not owned by the Preseravtion Society is Rough Point. 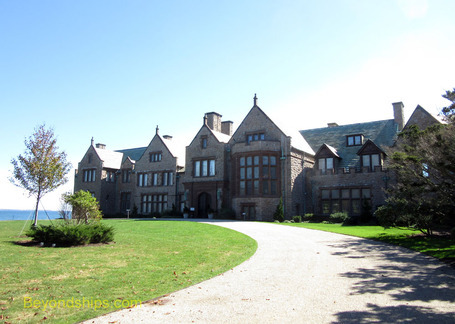 It was the home of tobacco heiress Doris Duke and is now owned by the Newport Restoration Foundation, which she started in order to preserve historic buildings in the Newport area. (See separate feature on visiting Rough Point). Right: Fairlawn, now the Younger Building of Salve Regina University. For many years, the mansion was open to the public but in 2010, it was purchased by Larry Ellison, the founder of Oracle Corporation, who returned it to private use. 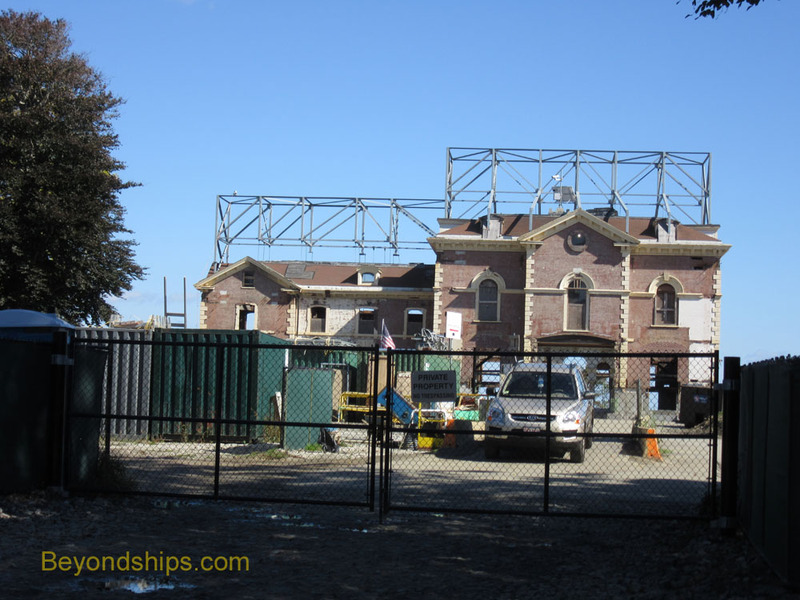 The exterior can still be glimpsed from Bellevue Avenue and from the Cliff Walk. The Osgood-Pell House (1887) was built in the Romanesque Revival style for William Osgood who had made a fortune in North Carolina zinc. It was subsequently owned by the Pells, a prominent political family. The house is now the administrative headquarters of the Preservation Society of Newport County. Belcourt (1894) was designed by Richard Morris Hunt for Oliver Hazard Perry Belmont. An accomplished carriage racer and horseman, Belmont devoted the ground floor to his horses and carriages. The house went through several owners after the Belmonts until it was purchased in 1956 by the Tinney family who made numerous alterations. They also opened the house to the public while they were still living there. The house was purchased in 2012 by Carolyn Rafaelian, who is restoring it and reportedly plans to open it again to the public when that work is completed. 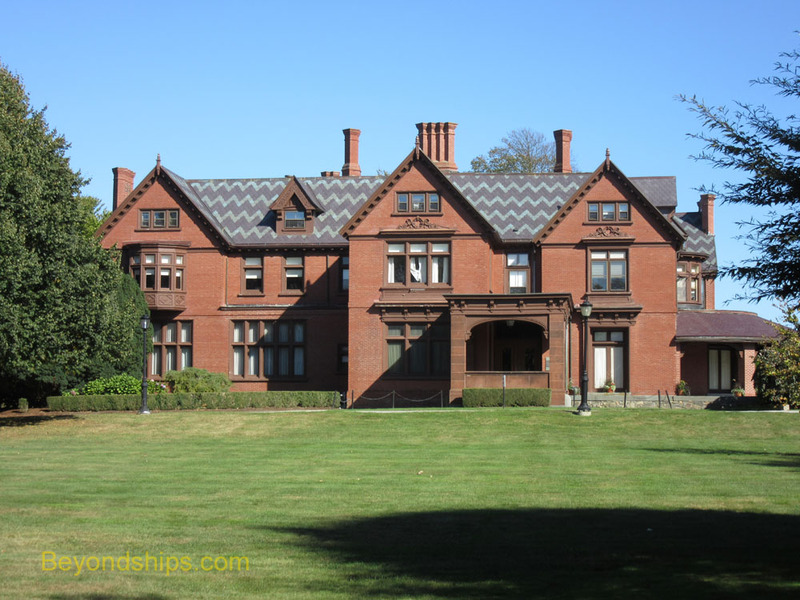 Fairlawn was built in the 1850s for Mr. and Mrs. Andrew Ritchie of Boston. It went through several owners during the Guilded Age and was expanded first through a design by Richard Morris Hunt and subsequently by the firm of McKim Mead and White. 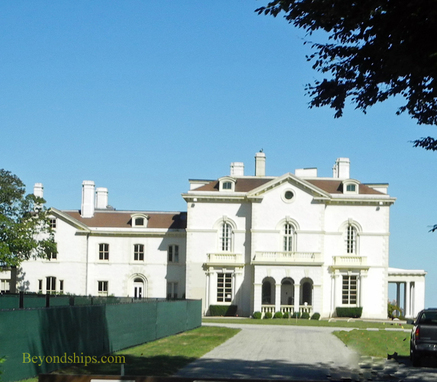 It is now houses the Pell Center for International Relations and Public Policy of Salve Regina University.